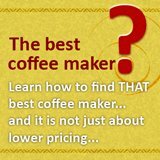 Commercial Coffee Machine for Your Shop -how to choose? Commercial coffee machine, as the name suggest is meant for usage to generate sales for a coffee shop or cafe. Do you have your own coffee shop, restaurant or diner? If you do, then you might have customers who are requesting for a good cup of coffee every day, every hour, and every minute. Of course, if you have lots of customers who orders coffee then investing your own commercial machine is the very important thing you have to do. Commercial coffee machine has so many things to offer especially to the success of your business. It helps you serve your customers coffee or espressos quickly. 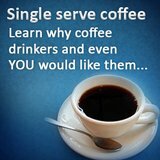 Not only that, you also serve a good and great-tasting coffee to your valued customers. So, no doubt when other people will hear about this they’ll surely come knocking at your door. 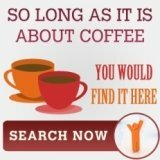 Coffee machines are widely available and you can purchase them anywhere you want. However, there are some various aspects you have to consider before choosing coffee maker machines for your coffee shop or café. 1. Decide which format best suit your shop. This is very important to consider because with these you’ll be able to produce cup of Joe that go well with your business establishment. For example, if you are running an eatery then a drip coffee machine is better to have. 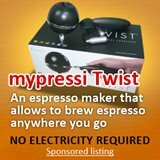 Moreover, when you decide to open up a coffee shop or café then espresso coffee machine is good for you to buy. 2. Foot prints. You should consider how much space you are going to give this commercial coffee machine. If you choose to give too little space then the machine might be too small for turn over during peak hour. On the contrary, if you give it a big space, then it might it your space for preparing food and other products you have to prepare. 3. The budget. How much are you willing to spend just to have this machine? You have to know that it’s better to invest huge amount of money to have high quality machine that can produce high quality and great tasting coffee. 4. Usability. Decide if the machine is user friendly and how difficult it is to train your staff to use it. Other commercial coffee machines are very complicated and they are hard to operate. So, it is better to buy a simple and easy to operate machine so that your staff will be able to work on it easily. 5. Maintenance or cleaning method. Choose the machine which is easy to clean up to avoid spending lots of your time cleaning on it. 6. Availability of parts. Sometimes, the need to replace such part of the machine is unavoidable so you have to consider buying a machine where parts are widely available. So, here are the ways you have to consider when buying commercial coffee machine. If you do think about these things, I assure you will be going to gain high profit.